Speaking of car seats, this one is my absolute favorite–I love the Chicco Keyfit 30! Having twins means you have a higher chance of having the babies earlier than you might with a singleton, which also means they could be smaller in weight. 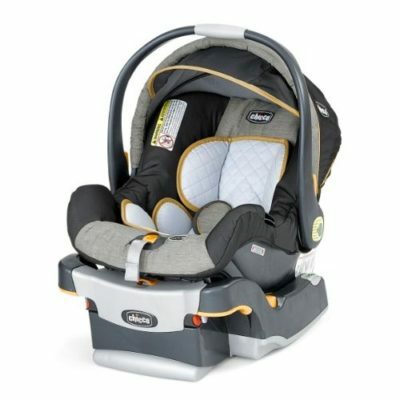 This carseat is safe for babies as small as 4 pounds! Both sets of my twins were born between 5-6 weeks early, and while they were great weights (between 6 pounds and 6 pounds eight ounces), they very easily could have been smaller.